Dawn Zerbs started her career in non-profit, wrote an essay about her dream job for grad school (helping non-profits benefit from business thinking), and has served on non-profit boards since moving to Kansas City. And then -- as it sometimes wonderfully happens in life -- Dawn and Mike Meyer were discussing that Band of Angels was ready to define its next chapter. Dawn was presented with an opportunity to serve Band of Angels and pilot the S+EP (Strategy plus Execution Process) with a non-profit organization. Dawn asked Mike if he would be willing to be a pilot client of Dawn Celeste LLC and he said, “Yes!” The timing was perfect. It was February. Dawn got started immediately to plan a full board off-site for March and the Band of Angels 2.0 strategy and execution process began. Band of Angels had exceeded all initial goals and was ready for a dream refresh. Dawn Celeste LLC worked with the Board of Directors to make this happen. Band of Angels (BoA) has experienced tremendous growth the last few years. What began in 2010 as an idea with an “audacious goal” to collect and give 50 instruments to students has blossomed into a thriving non-profit. In 2017, they expanded their innovative remote lesson program, Pianos Without Borders. And two students that received instruments in the first year (they were in 5th grade in 2010) have said they are going to college to study music. Beyond their wildest dreams! Mike Meyer of Meyer Music is the chairman of the board and founder of Band of Angels. The work of the organization -- especially the fundraising -- revolves almost solely around Mike. Mike knew that to grow and serve more kids he would need to share that responsibility with the board. The board had differing points of view on the next steps for the organization (all good next steps), so it was time to come together and update the vision and goals for the organization. Band of Angels had exceeded their initial goals, so it was time to update the dream. That’s exactly what we did. 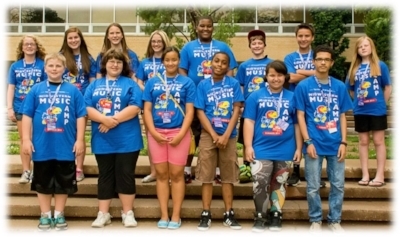 Students experience summer band camp thanks to the generosity of Band of Angels donors. Next Steps - The proposed Band of Angels 2.0 Purpose and Priorities will be sent to the Board to approve in the next week. After approval, we’ll get to work on the key priorities. Note: Dawn Zerbs is a member of the Band of Angels Board of Directors and the project is pro bono.